1. Consider do-it-yourself gifts, like no-sew fleece blankets that you can make with your children. Donate those blankets to a local homeless shelter. 2. Cherish the stories of your family. Have your children talk to their grandparents and write down the stories of their past. Create a book to share with the entire family or record it online. 3. As a family, select a charitable organization you’d like to support. Use online tools like Charity Navigator to find an organization that you trust. Give your children a budget and encourage them to decide how your family will donate to that organization this holiday. For example, flipping through the World Vision Gift Catalog will give children an idea of the difference they can make in other people’s lives. 4. Work with your children to create a coupon book for your neighbors that might need an extra hand this year. Coupons could include shoveling their sidewalk, watching their children or providing a meal. 5. Bake cookies or sweets with your children and deliver them to your local nursing home or school-in-need. Get started with this list of holiday recipes. 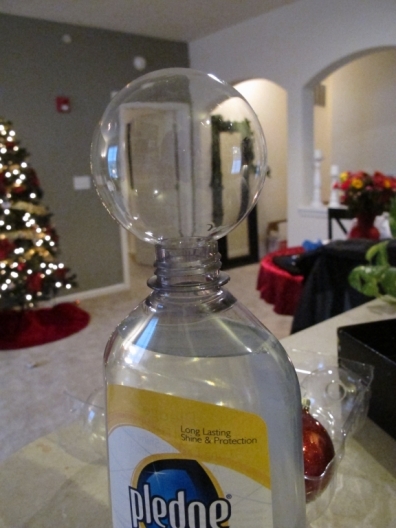 “The holiday season can be a stressful time of year. There are gifts to purchase and wrap, cookies to bake, and family and friends to visit, but when we pause to help our neighbors in need, we all experience the holidays in a more meaningful way,” said Traci Coker, charitable giving expert and national director of World Vision’s Gift Catalog. 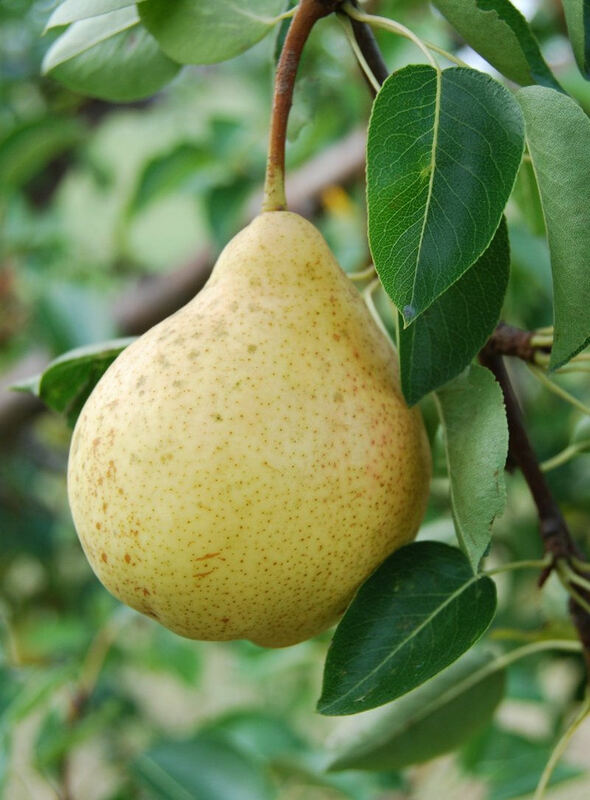 Traditional gingerbread gets a fruit-inspired makeover with the addition of fresh pears in this moist, delicious recipe! Combine flour, baking soda, ginger, cinnamon, allspice, and cloves in a large bowl and stir well. Add squash, stir well and make a well in the center of the mixture. Combine fruit sweet, prune puree, vanilla and egg whites; stir well. Add to dry ingredients, stirring until just moistened. Quickly stir in the diced pears. Pour into a 9-inch cake pan coated well with cooking spray. Bake at 350 degrees for 35-40 minutes, or until toothpick comes out clean when inserted in the center. Cool in pan for 10 minutes on a wire rack; remove from pan, and cool completely on rack. There’s a saying that a tidy home indicates someone with a tidy mind. There’s a great deal of truth in this. Your home is like a mirror: it reflects things back to you that affect the way you feel and the way you live your life. Thankfully, there are things that you can do to create a more vibrant home that will naturally energize you. One of the easiest and quickest things that you can do to feel energised in your home is to get rid of the clutter. Decide on the room in which you are going to start. Then, get yourself four cardboard boxes. Label one box ‘loft’ – this is where you’ll put the things you want to keep, the second one ‘charity shop’, the third one ‘tip’ and the fourth one ‘sale’ (or flutter in this instance). Make a rule that once an item goes into a box it stays there. The ‘sale’ box should provide you and your friends with some fun. Organize an evening of card games, but instead of money your friends can have their pick of what’s in the box when they win. You can bet that someone will want the wall cupboard with the solid oak doors, and someone else will want that art-deco clock. Put the box you want to store into the loft and the tip and charity box into the car. Green is supposed to stimulate brain function and enhance our thirst for knowledge. Try some touches of green in the spare room or study; paint one wall green and choose a few green furnishings (but don’t go overboard). It does depend on what you believe but many people say that they find it easier to read or study if they are surrounded by the color green. If your kitchen doesn’t benefit from much daylight, try changing your color scheme. Yellow is great for adding some zest to a room and for attracting the light. Don’t paint the whole kitchen yellow or you may feel blinded. Have three white walls in your kitchen and one yellow or with a yellow patterned wall paper. Yellow helps to fill a room with light and mimics the energising effects of the sun. After a long day at work or trying to keep the kids in order everyone needs somewhere they can relax. Whether you decide to relax in the conservatory or in the living room, touches of blue and white have a calming effect. Choose a spot where you will sit and attempt to relax. There’s no getting away from the fact that you stand a much better chance of enjoying your evening if you’ve started it with twenty minutes of quiet relaxation. This article was written by Amy Fowler on behalf of UK Oak Doors. Thank you to Graur Codrin for the photo. This fresh soup is filled with the fruits and vegetables of the season – perfect for warming you up on a cold winter’s night! Heat the olive oil in a medium stockpot over medium-high heat. Add the carrots, onion, garlic, ginger, and apples. Cook until onion has softened, approximately 2 minutes. Add the remaining ingredients and bring to a boil. 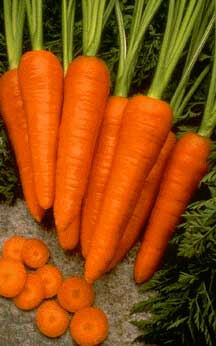 Reduce heat and simmer until carrots are soft, approximately 20 minutes. Carefully ladle the soup into a blender. Puree the soup until smooth. Strain the soup through a fine-mesh strainer and/or a colander lined with cheesecloth to remove pulp. Return strained soup to a pan and heat to serve. Adjust the seasoning with additional salt and pepper to taste. Add a little more stock or water to the soup if the soup is too thick. 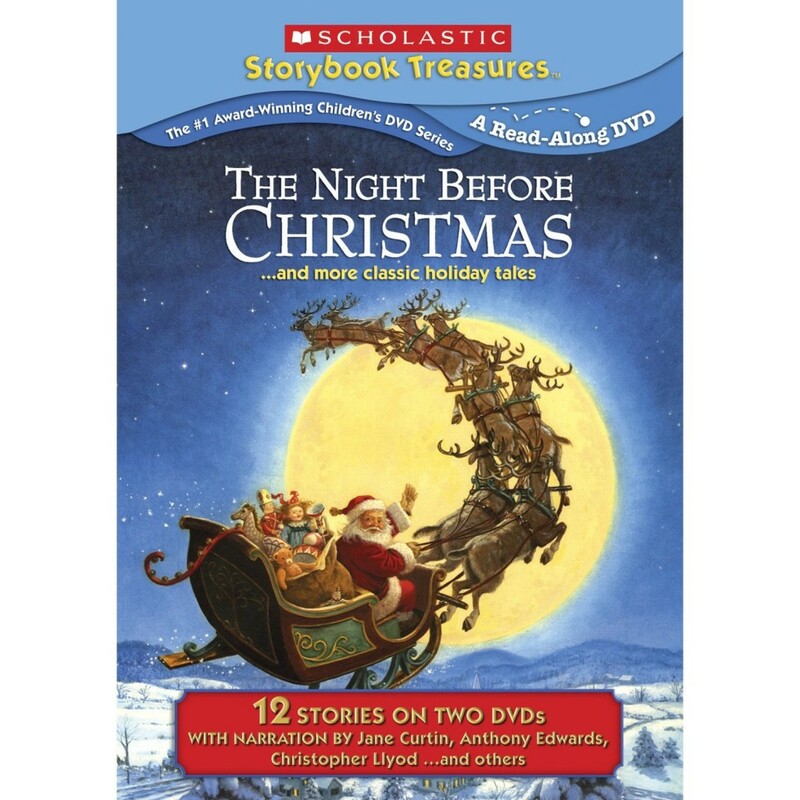 Cuddle up with your little ones for an evening of stories and classic holiday tales about Christmas, Hanukkah, and Kwanzaa with The Night Before Christmas Special Edition Gift Set. This gift set is meant to be enjoyed through the season, with a mug of hot chocolate in hand! Featuring 12 tales on 2 DVD’s, you can read along with your children, or just enjoy the festive music and narration! The title tale, based on Clement C. Moore’s timeless poem, has been adapted from Ruth Sanderson’s exquisitely illustrated book. Featuring narration by Anthony Edwards, this version is sure to warm the cockles of any grinch’s heart! Among the 11 additional colorfully animated stories found on this 2-DVD gift set—narrated by celebrities such as Jane Curtin and Christopher Lloyd — are: In the Month of Kislev (adapted from a story by Nina Jaffe and narrated by Theodore Bikel), Seven Candles for Kwanzaa, (adapted from a story by Andrea Davis Pinkney and Brian Pinkney, narrated by Alfre Woodard), Too Many Tamales (presented both in English and Spanish), and four bonus stories featuring Ezra Jack Keats’ The Little Drummer Boy, Sam and the Lucky Money, and two Rosemary Wells classics, Max’s Christmas and Morris’ Disappearing Bag. What “Mom” loves about Scholastic Storybook Treasures is that your child’s books really come to life! If you have some of the books, it is great to turn the pages and read along with the narrator for your child’s enrichment. The Night Before Christmas Special Edition Gift Set can be found at Amazon.com, just in time for December! 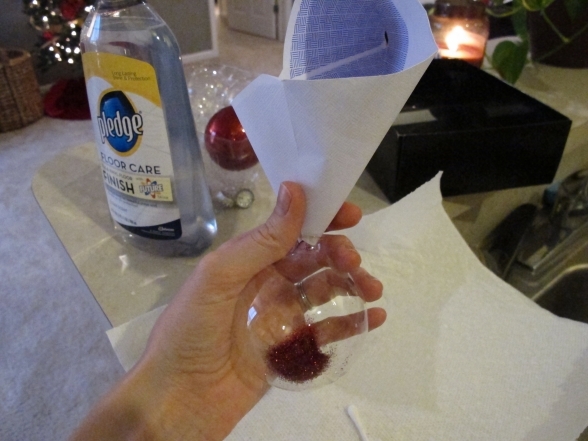 There’s no easier way to get into the holiday spirit with a craft that involves GLITTER! 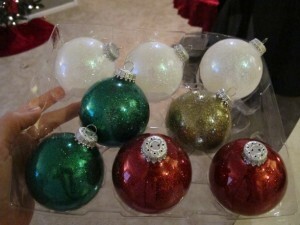 This sparkly ornament craft is tons of fun and very affordable. Another bonus: It’s very easy to clean up and won’t leave a trail of glitter everywhere. 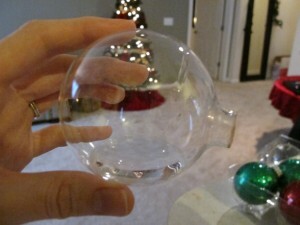 This craft makes for great Christmas gifts and they look awesome on the tree. Kids love it too and it’s a great way to keep them occupied when they’re home from school. Get them away from the TV and video games and into a craft that they’ll enjoy. 1. 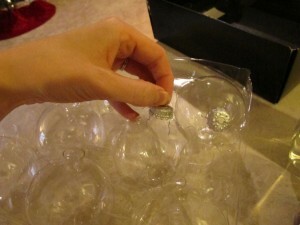 Pull the hangers from the ornaments and set aside for later. 2. 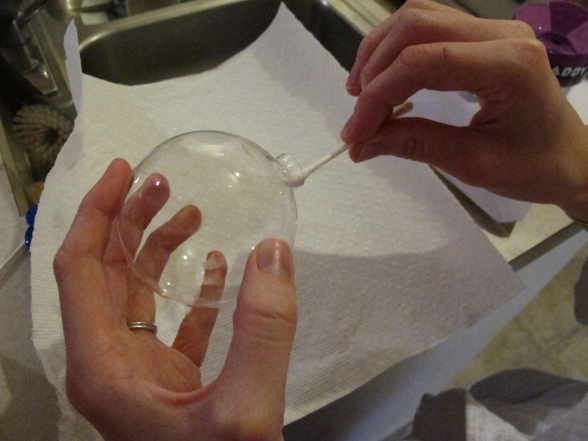 Squeeze the floor wax into the ornament and swirl it around the ornament until the insides are totally coated.Be careful not to shake it, because the wax will leave bubbles inside. 3. Remove the cap from the bottle of wax, place the ornament over the lid and let the excess wax drip back into the bottle. 4. Use a cotton swab to get rid of any bubbles and wipe the excess wax from the mouth of the ornament. 5. Use the paper cone (or envelope) to funnel glitter into the ornament. 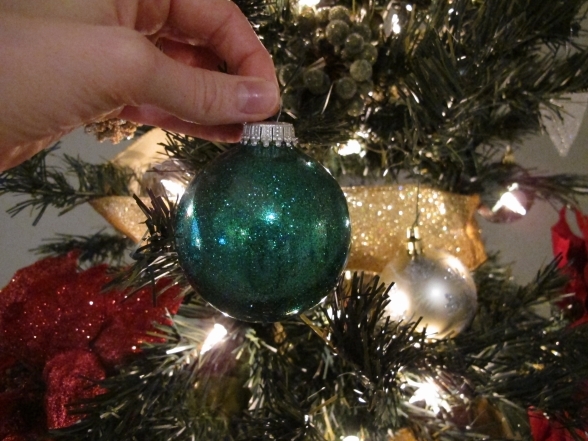 Use quite a bit of glitter to cover the entire ornament in sparkles to avoid bald spots! 6. 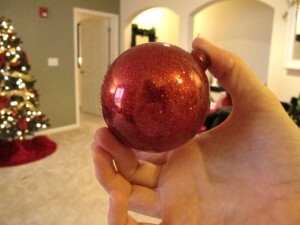 Place a thumb over the mouth of the ornament and shake the glitter all around so it coats the entire ornament. Dump the excess glitter back into the glitter container and reuse it on the next ornament. 7. And that’s it ladies and gentlemen! Put the ornament hook back in and there’s a gorgeous set of very glittery and very holiday appropriate ornaments! 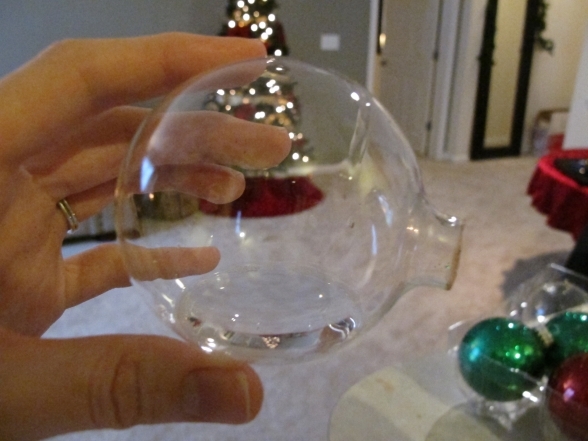 These ornaments make great gifts. Add a bow to the hook to dress it up a little more and get ornament sized boxes for pretty gift wrapping. They make for great personal gifts that are very affordable, but totally glam. Let kids choose their own sparkle combinations and really get into making these their own! As a writer for HandbagHeaven.com, Sarah spends most of her days accessorizing with tote bags and women’s wallets, but outside of her job she spends time crafting, cooking, and shopping! She also enjoys spending time with her husband, family, and precious puppy. 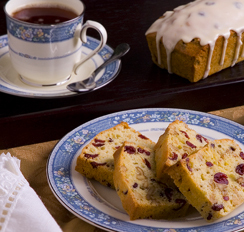 Choose your favorite combination of colorful dried fruits in this simple nut bread. Serve thinly sliced or package mini loaves for gifts. Coat one large 9×5-inch, two medium 8×4-1/2-inch or three small 5×3-inch loaf pans. In a small bowl COMBINE flour, baking powder, salt and soda. Set aside. In a medium bowl STIR together sugar, yogurt, oil, eggs, vanilla and zest. Stir in dry mixture until thoroughly combined. Stir in dried fruit and nuts. Pour into prepared pans. BAKE large pan 50-55 minutes, medium pans 35-40 minutes, small pans 30-35 minutes or until well-browned on edges and pick inserted in center comes out clean. COOL on wire rack 10 minutes. Remove from pan(s) and cool completely. STIR together powdered sugar and enough orange juice to make a pourable glaze. Drizzle over cooled bread. Makes 1 large loaf or 3 mini loaves. Extreme Couponing: Frugal or Obsession? Extreme Couponing is a TV reality show that first aired on TLC in April of this year, in which contestants try to get as many grocery items for as little money as possible. Thus far, there have been two seasons and twenty- four episodes of the show. 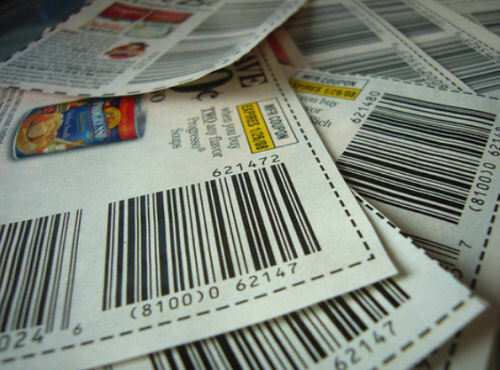 The show has become a model for collecting and using coupons in the real world. Even though the show depicts an unrealistic display of coupon use, many are turning towards this fad as more than just a way to save a few dollars. Those with obsessive tendencies are finding solace in the new wave of shopping. For any that have seen the show, they will notice the stockpiles of goods purchased during their extreme couponing shopping trip. Some may consider this as a type of hoarding. Each shelf is line up as you would see in the stores, perfectly squared and organized, in as many would consider being an obsessive manner. From the very beginning, we see people stocking up on much more than they may actually need, simply because they have the coupons (and probably also because they are contestants on a reality show). The very first contestant had accumulated 450 rolls of toilet paper and 250 rolls of paper towel, as well as 60 boxes of cereal, 70 bottles of laundry detergent, 100 containers of cleaning wipes, and 200 soaps. The second contestant had to keep her huge stock of purchases all over the house (which her children have even called the Ivanovsky mini- mart). She even had to put a new shelving system into her bedroom! “Sometimes I feel as though the walls are just closing in on me,” she said. There is a large collection of paper towels beneath one of the children’s beds. Imagine what it must be like to have to run all the way upstairs to one’s bedroom to get the food that should be right on hand in the kitchen. Some consumers, such as those on the second episode, also use a large portion of their coupons to buy food that has absolutely no nutritional value, which seems more like a need to use the coupons rather than the need for the item they are purchasing. Examples such as this show the fine line between being frugal and becoming obsessive with couponing. The ways in which some of the contestants obtain their coupons is also a cause for concern. One of the contestants gets hers in perfectly legitimate ways; from newspapers, the Internet, product packaging, and store displays. But other contestants get theirs in less savory ways, such as rummaging through their neighbors recycling bins late at night. At this point many would take a step back and see just how far their compulsion for couponing has come. If you are digging through the trash late at night to save 50¢ on a can of soup, are you being frugal or has your obsession reached a new height? The show itself is very entertaining and the use of coupons is definitely a recommended way of saving money. However, the extreme couponing craze that is becoming more popular shows what it truly means to direct an obsession. With the amount of time, effort, and planning that goes into creating an extreme coupon shopping trip, one could facilitate a full time job. On the surface, extreme couponing may sound like an excellent way for people to learn about budgeting and planning a shopping trip. But it can also foster many bad habits such as buying junk food, going through other people’s trash, and getting more than one needs. In today’s economy, becoming frugal is becoming a necessity. However, for some it has become an obsession that is unhealthy, dangerous and overall unnecessary. Some smart shopping tips can be taken from the extreme couponing model, but as with everything else, it should be taken in stride. As a stay at home parent, Mary Blanchard understands the importance of making her dollars stretch. Frequently she searches many deal sites for the best deals. She prefers the discounts on Amazon products at Coupon Croc to many other sites offers. http://tinygreenmom.com/wp-content/uploads/2018/07/logo-sm.png 0 0 Tiny Green Mom http://tinygreenmom.com/wp-content/uploads/2018/07/logo-sm.png Tiny Green Mom2011-11-27 20:34:152011-11-27 20:34:15Extreme Couponing: Frugal or Obsession? 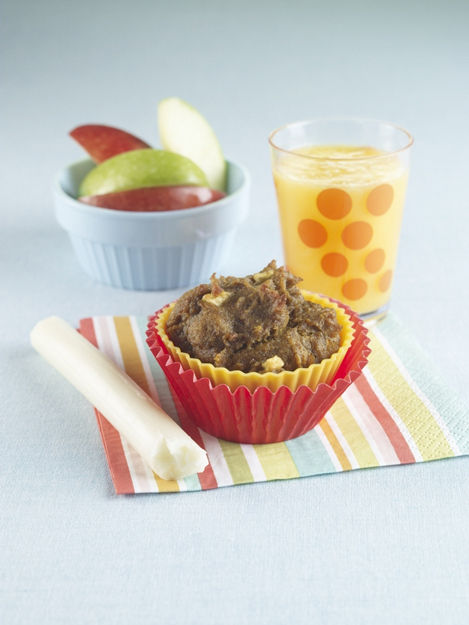 Make and bake these moist, flavorful muffins with your little ones for a healthy breakfast item or a mid-morning snack! Preheat oven to 350°. Lightly spray muffin pans with nonstick spray. Mix flour, sugar, spice, baking soda, and baking powder in large mixing bowl. In another bowl, slightly beat eggs and mix in pumpkin and oil. Stir into dry ingredients and mix lightly. Gently fold in chopped apple. Fill muffin cups ¾ full. Bake 25-30 minutes until done. Ah, the holiday season: a time for joy, for stuffing our faces, for giving, for receiving. But what you don’t want to receive are your annual holiday allergies that kick up just when you should be kicking back. Don’t let your holiday hijinks fizzle. Try these natural remedies to combat holiday allergies. People suffer more allergic reactions during the holiday season because many of the things we love have an allergic price tag attached to them: foods specific to the season, a proliferation (or addition) of pets, smoke in the chimney, and, worst of all, the honest to goodness real live tree that isn’t even plastic. And if you’re living in an area of the country where the winter season tends to be cooler (or down-right cold), you’re probably feeling like hibernating when the snow falls and the wind begins to blow. That means you have effectively trapped yourself with many allergens that you might not notice otherwise. Common holiday allergies can be triggered by the food you probably feel tempted to consume; by the mold spores attracted to evergreens damp from the snow such as wreaths or trees, or carried in on your shoes atop simple leaves fallen from autumn-weathered trees; or from dust mites you only encounter when you sleep in someone’s guest bed. Avoid natural decorations. As much as you might want your holiday experience to be as authentic as possible, one of the easiest ways is to avoid real live wreaths and trees in favor of plastic décor. Cut out the candles. While they may make your house smell extra good, holiday candles or scents can cause irritation. Make sure your house is well-ventilated if you insist on burning any kind of candle. Build up your immunity. 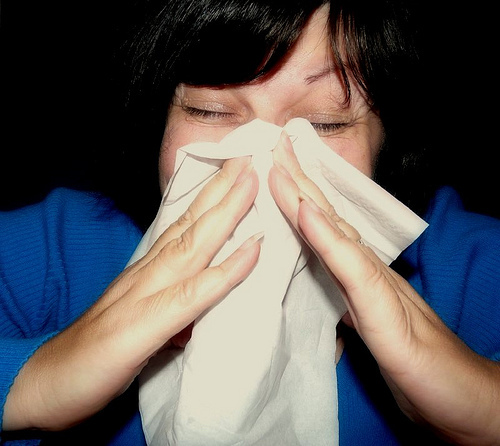 Allergens you encounter over the holiday season break down your immune system. You can effectively combat this process by building it up beforehand by taking plenty of vitamins. Even a simple glass of orange juice will help you out. Lighten up on the food. Or watch what you eat … literally. Food allergies won’t knock you back if you keep up with the kinds of foods you can (and can’t) enjoy. Whether you suffer from an inability to eat gluten or are lactose intolerant, make sure to be careful around the cornucopia of foods, desserts, and drinks that are sure to be available at the variety of holiday parties you plan to attend. Chill out! Be aware of what causes you stress and try to reduce it. Stress reduction will also bolster your immune system and make you less vulnerable to nasty allergens. Some of the best natural therapy out there can come from doing yoga (or even taking one of the many varieties of classes offered out there), tai chi, working on your meditation skills, or enjoying a nice, long massage. You should also consider taking a hot bath a few hours before bed, and then listening to soothing music as you fall asleep. Happy holidays, and stay healthy! 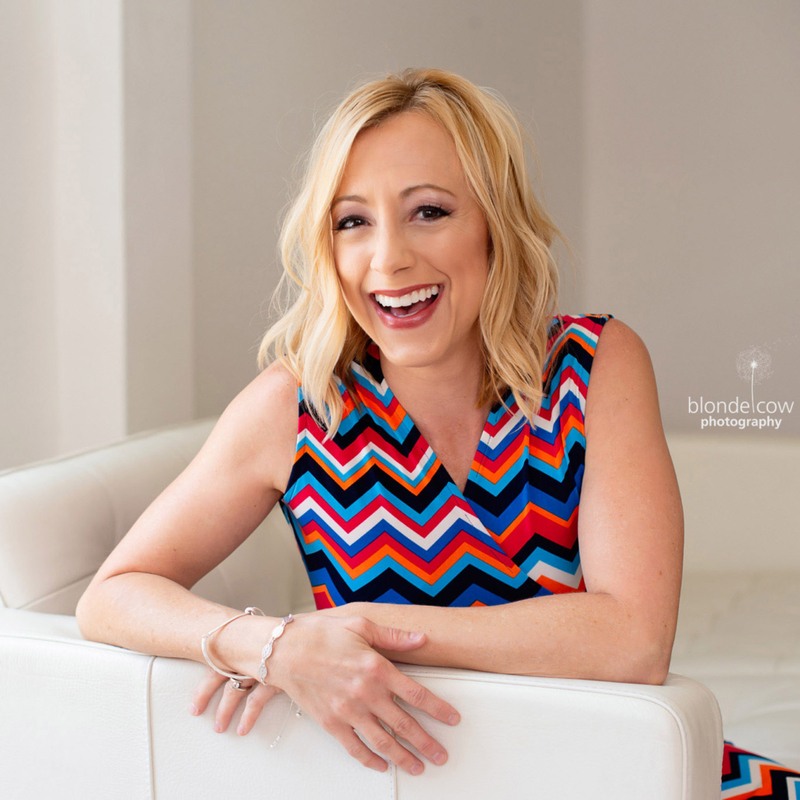 Sarah Danielson is a contributing writer for AchooAllergy where you can find Allergy Armor bedding and a variety of other items to alleviate your allergy symptoms.